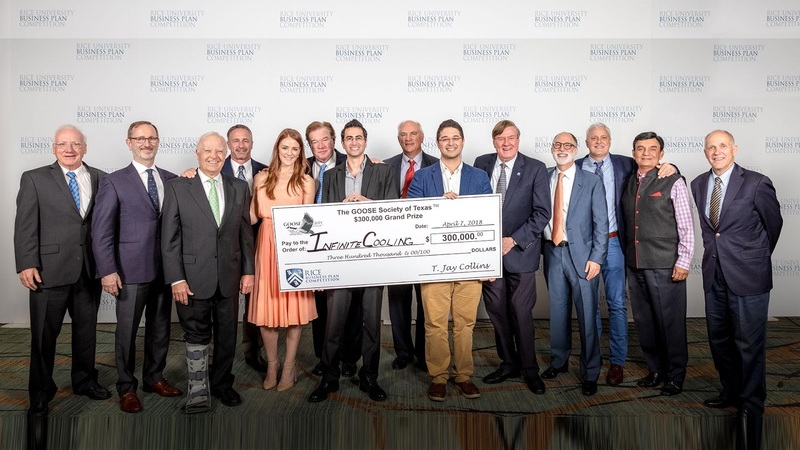 Rice Business Plan Competition (RBPC) Application Eligibility, Categories, Benefits and Application Guidelines for Recently-Graduated Graduate-Level Students. The Rice Business Plan Competition (RBPC) is the world’s richest and largest graduate-level student startup competition. It is hosted and organized by the Rice Alliance for Technology and Entrepreneurship and the Jesse H. Jones Graduate School of Business at Rice University. The Rice Alliance is Rice University’s internationally-recognized initiative devoted to the support of entrepreneurship. This will be the 19th year for the competition. In that time, it has grown from nine teams competing for $10,000 in prize money in 2001, to 42 teams from around the world competing for more than $1.5 million in cash and prizes. Judges will evaluate the teams as real-world entrepreneurs soliciting start-up funds from early-stage investors and venture capital firms. The judges are asked to rank the presentations based on which company they would most likely invest. In fact, 87% of the 275 judges at the 2018 RBPC said they were considering investing in a team they saw pitch or met, or said they referred a team to an investor in their network. One of these students must be a current or recently-graduated graduate-level student. This includes MBA, PhD, MD, JD, and Master’s candidates. The other student may be a current or recently –graduated graduate-level student, or current or recently-graduated undergraduate-level student. “Current” means currently seeking a degree, enrolled on a full- or part-time basis (i.e., in the academic year from July 1, 2018 through June 30, 2019). “Recently graduated” means students who will graduate any time after July 1, 2018. (For example, December 2018 graduates are eligible to compete). Adjustments may possibly be made for teams from non-U.S. universities that have a different academic calendar; please contact the RBPC Director if you are from a non-U.S. school and feel this applies to you. Up to 5 team members will be allowed to compete and present at the RBPC. All of those 5 team members must be current or recently-graduated students. At least 2 team members must present in every round on Friday and Saturday, with at least 2 of those members meeting the student requirements above. The exception is the Elevator Pitch Competition on Thursday night; only one student in the startup will present then. All ventures must be seeking outside equity capital, typically early-stage venture capital investment or earlystage angel investment. All ventures must be “for profit” entities. Startups may have raised ANY level of equity funding AFTER July 1, 2018. Research and other grants; competition winnings; traditional loans; and any friends and family funding do not count toward funding limit. Not eligible: Startups that have raised more than $250,000 in equity capital from sources other than the students or their friends or families prior to July 1, 2018 are not eligible to compete. Not eligible: Ventures with more than $100,000 in revenues in prior academic years (meaning before July 1, 2018), are not eligible to compete. They provide an intense, immersive experience over the course three days for student startup founders to pitch to investors, receive multiple rounds of feedback and advance their startup. One member of your startup, the designated leader, should complete the simple online application. The application consists of a answering a short survey, attaching an Executive Summary (maximum 5 pages), and including an optional Video Elevator Pitch (maximum 2 minutes). Multiple student startup teams from the same school, institution or university center may apply to compete. There is no limit on the number of applications per school. There no fees to apply or to compete. Once an application is submitted, no changes can be made. The application must be completed by Sunday, February 10, 2019 at 5:00 pm CST. Teams invited to compete in the Rice Business Plan Competition will be notified via our Facebook Live video event and by email on Wednesday, February 27, 2019.